Guest blogger GPO Public Relations Specialist Emma Wojtowicz reviews this new publication by the U.S. Forest Service that explores the history of the Forest Service’s Rocky Mountain region, including the involvement of two Roosevelts. Those traveling west-bound for spring break and summer vacation should check out From Prairies to Peaks: A History of the Rocky Mountain Region of the U.S. Forest Service, 1905-2012. This publication focuses on the Rocky Mountain region, which encompasses Colorado, Kansas, Nebraska, South Dakota and Wyoming and is home to 17 national forests and seven national grasslands. In From Prairies to Peaks, author Anthony Godfrey takes readers on a tour of the Rocky Mountains to learn about the topography, climate and wildlife as well as the history stretching from when Native Americans originally inhabited the region to the preservation efforts made in recent decades by the Forest Service. Readers must be true aficionados of the West and Rocky Mountains to digest this nearly 400-page publication. The history is very detailed, but very fascinating. During the development of the West in the 19th century, it was believed that the United States had an abundance of forest resources, and millions of acres of trees were cleared as a result. After the Civil War, the threat of a timber famine alerted the government to the problem and brought greater attention to forest management. Passed under President Theodore Roosevelt, the Federal Forest Transfer Act of 1905 moved control of the 63 million acres of national forest reserves from the Department of the Interior to the Department of Agriculture’s Bureau of Forestry, which was renamed the Forest Service. 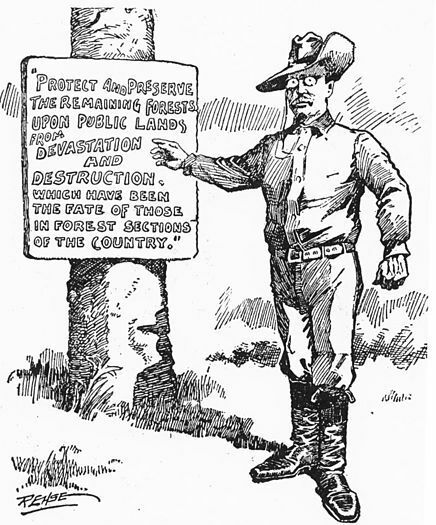 Image: 1908 editorial cartoon of President Theodore Roosevelt as “A Practical Forester.” Source: St. Paul Minnesota “Pioneer Press”. One of the most interesting time periods for the region was the 1920s-1930s. Upkeep and development of the Rocky Mountain region created many jobs for men through New Deal programs during the Great Depression. In national forests, workers were assigned to tree planting and thinning, insect and rodent control, road building and improvement, telephone line construction, and lookout tower and house construction to increase communication for fire control and timber conservation. Then during the Dust Bowl, the region played an important role in President Franklin Roosevelt’s Great Plains Shelterbelt Project from 1934-1942, which involved planting a shelterbelt or windbreak of drought-resistant trees and shrubs and from Canada to northern Texas to protect against the winds and prevent erosion. 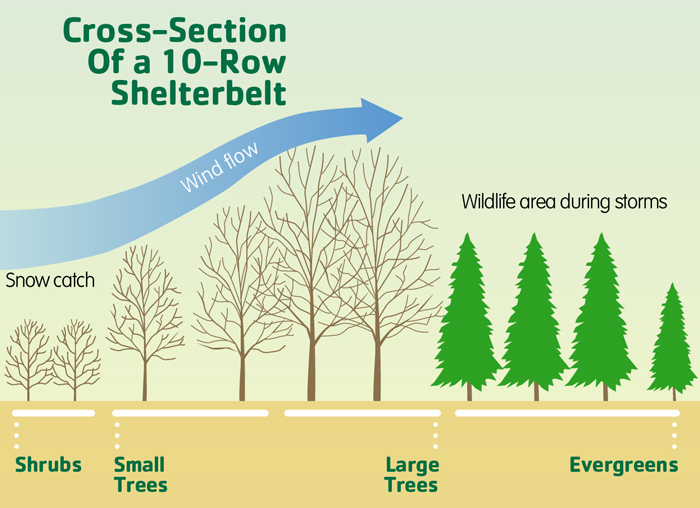 Image: Cross-section of a shelterbelt of various sized evergreens, large and small deciduous trees, and shrubs using the Forest Service-recommended standard of 10 rows that serve as a windbreak and wildlife shelter. Image source: MyFarmlife.com. The Forest Service assigned the Rocky Mountain region with supervising the planting of more than 217 million trees and shrubs on the windward side of more than 30,000 individual farms. This is just a snapshot of the in-depth history chronicled in this publication. From Prairies to Peaks provides a historical account of one of the lesser known regions in the United States. The West conjures images of cowboys, mountains, hikers and skiers, but there is more to the Rocky Mountain region. This publication is a great resource for those interested in learning more about the West and the Forest Service. And for those already familiar with the Rocky Mountains region, this book will help you brush up on your history. 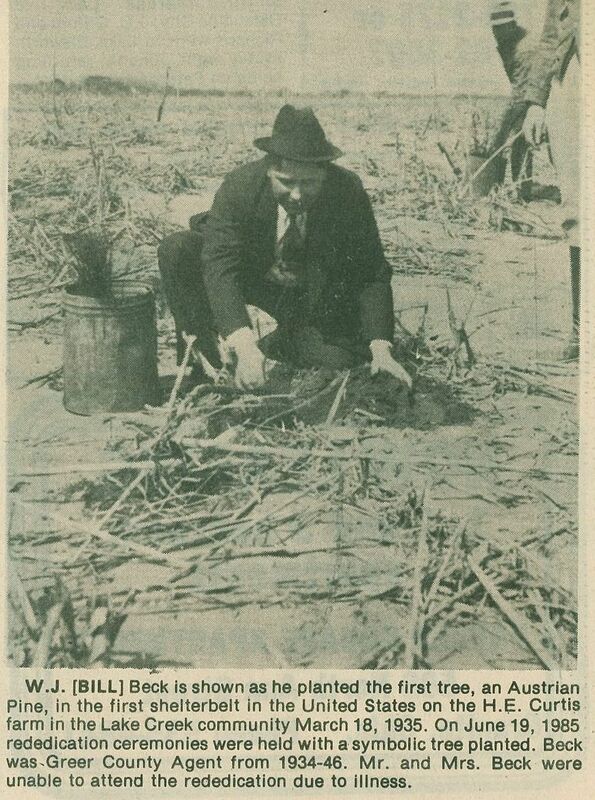 Image: Planting the first tree in the Nation’s first shelterbelt on the H.E. Curtis farm near Mangum in Greer county, Oklahoma, on March 18, 1935. Image source: Oklahoma Farm Report. HOW DO I OBTAIN THIS PUBLICATION: From Prairies to Peaks: A History of the Rocky Mountain Region of the U.S. Forest Service, 1905-2012?